Beneath its famous skyline, Chicago boasts 26 miles of lakefront and several beaches for those willing to brave the cold waters of Lake Michigan. It is also a major tourist hub with a variety of beautiful attractions for all types of visitors, making for an unforgettable trip. A hub for art, culture, history and cuisine, discovering Chicago will prove to be nothing less than an adventure. It is famous for its fine dining, world-class museums, green parks, public art, and tops it off with famous Midwestern hospitality. You can visit Willis Tower, one of the world’s tallest building with awesome 360 degree views of the city from the 103rd floor Skydeck, or make a trip to the Navy Pier, which is full of attractions for all on the waterfront, attracting over 8 million people every year. 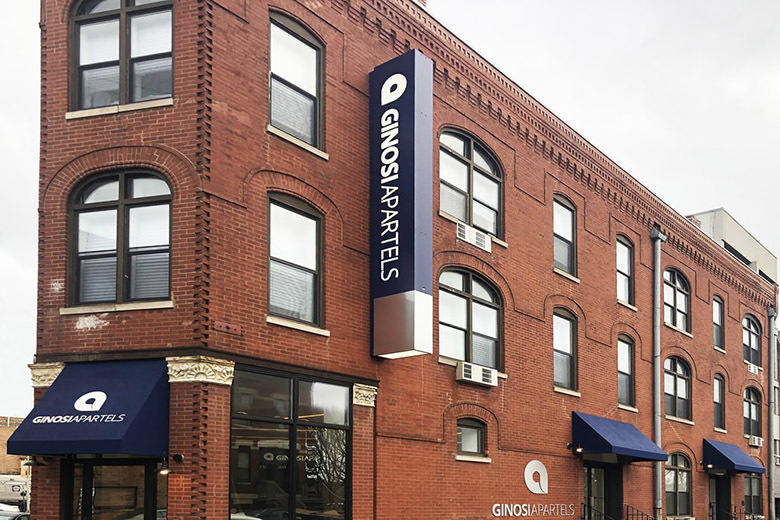 Ginosi's Chicago locations are strategically located just a 4 minute walk away from the Chicago Red metro station, making everything Chicago has to offer within your reach. 4 minute walk from Plymouth Apartel to Chicago Red station.